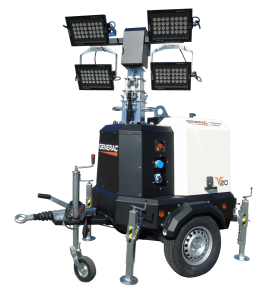 Generac Mobile® is the manufacturer of the largest range of light towers in the world since 1997. The high quality standard provides great strength and toughness, as well as the use in the most difficult job sites. 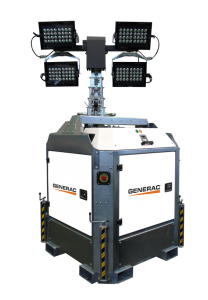 Our range is divided into three different lines: Green, Mobile and Stationary, for a total amount of 20 models, divided in turn into 43 variations able to fit any customer’s need. A wide range of mobile light towers equipped with different kinds of trailers or hand trolley. Green Line is a specific family of light towers equipped with the innovative hybrid powering system with rechargeable batteries and backup diesel generator. 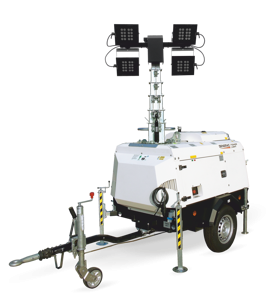 A range of stationary light towers mounted on base or fastened on a fixed structure.